[Erv Plecter] likes to recreate movie props that actually work. This time around he’s making the motion detector device from the original Alien movie. You’ll immediately remember this prop after seeing and hearing it in the video after the break. For our money, the most brilliant part of that movie was the use of rhythmic sounds to boost the intensity of the tension in the viewer. [Erv’s] build captures that feeling, with the steady beat of sonar and the rising pitch of a ping as an object moves towards you. The device can easily track your own movement, as it contains both a GPS module and an electronic compass. He mentions that there is a motion sensor as well, but is a bit vague about how that part of the build works. Still, it’s a nice little piece which looks great despite not being quite finished yet. 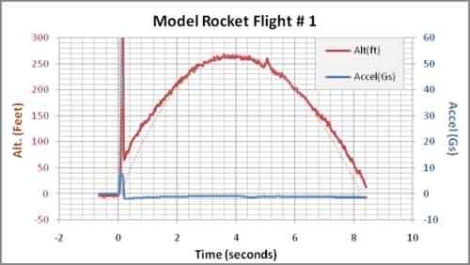 [Ken] sent us his Instructable in which he used radio telemetry to monitor the status of his air-powered model rocket through a series of launches. 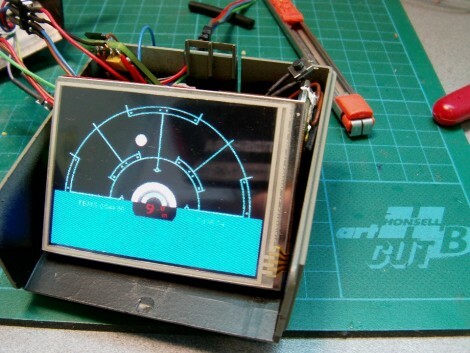 His setup is centered around an Arduino IDE-compatible board that looks to be about the size of a Boarduino, but has the benefit of an embedded 915 MHz radio module. The vendor he used also sells a good handful of add-on modules which he used for his in-flight recording, including a barometric pressure monitor and a 3-axis accelerometer. During flight, the rocket constantly sends data to a base station, provided it stays within radio operating range. For is initial tests, [Ken] launched his rocket four times, getting usable data on half of them. He found out some interesting things about his model rocket, including the fact that it creates a maximum launch force of 60 Gs. He has plans to revise his setup in the future, such as lightening the battery load as well as adding a high-G analog sensor for recording the forces at take off. This kit, or a more reasonably priced clone, would make for a great addition to any rocket buff’s inventory. [Christian Pigeon’s] first big project was to build this ambient light system for his computer monitor. 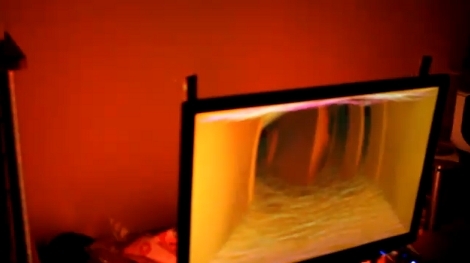 This is based on the same concept as the Phillips Ambilight system which illuminates the area behind a television to match the color on the edges of the screen. We’ve seen clones before, but this is the first one we’ve come across based on Amblone. 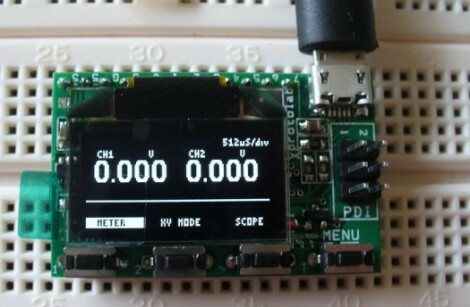 With Amblone as a starting point [Christian] modified the code to work with the Arduino Duemilanove which has fewer PWM channels than its bigger brother, the Arduino Mega. No word on where he acquired the RGB LED strips that provide the illumination, but the driver boards are just protoboard with groups of resistors and transistors to switch the diodes on and off. Check out the video after the break to see effects he achieves with this setup. 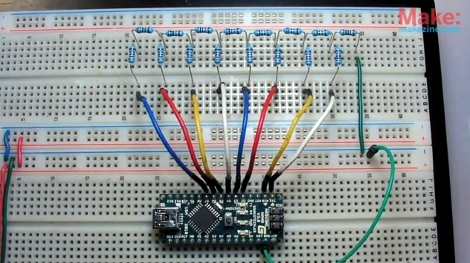 [Embedded lab] has a nice tutorial on building your own heart rate monitor. The monitor works by shining infrared light into the fingertip and looking at the changes in the reflected infrared signal caused by a heartbeat. The IR detector produces a very small AC signal so a couple of op-amps are used to filter and amplify the signal. The output of the filter circuit is then read in by a PIC16F628A, which counts the beats and displays it on a seven segment display. 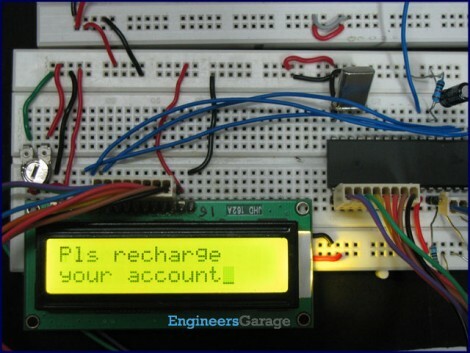 This might be a good project to try if you’ve got your microcontrollers down and you are looking to learn some analog electronics. Its noted at the end that the two main problems with building a circuit like this are going to be cross talk and adjusting the filters. The infrared diode and receiver should be close to each other to allow maximum reflection but you also need to make sure that you don’t allow the emitter to shine directly into the detector because the reflected light will be drowned out by the bright emitter. Have you ever built a Digital to Analog Converter before? This is a circuit that can take the 0 or 5V coming off of several digital logic pins, combine them together, and spit out one analog voltage that represents that value. If you’ve never made one, here’s your chance. [Collin Cunningham] over at Make put together another lab video about DACs which we’ve embedded after the break. The circuit above uses an R-2R resistor network – often called a resistor ladder – which you can learn much more about from the reference page that [Collin] links to. Although a DAC in an IC package is by far the most commonly found application, we do see these R-2R networks in audio hacks from time to time. For us the hardest part of any project is coming up with the seminal idea. Once in a while you just need to cheat by recreating an existing product. That’s what EngineersGarage did with this toll plaza project. If you take a look around the various tabs at the top of that article you’ll see that they’ve used an 8051 microcontroller to bring together a character LCD, RFID reader, and a keypad. From there it’s a slew of coding to add the functionality for reading multiple tags, looking up stored value, and creating a replenishment system. Sure, it’s not really of much use in this form, but it’ll give you something to do with those shiny parts you have sitting around, and it might just lead you down a path to something more meaningful. As usual, there’s a demonstration video of this after the break. If this doesn’t float your boat, perhaps this other RFID access system is more your thing.